Offspring2 is studying Visual Arts and Photography. Here is the card I made for his October birthday. The film strip is one stamp, then I masked and added all the individual image stamps into each frame. And I held my breath while coloring….please please please no mistakes NOW! Supplies: Stamps – Altenew, Essentials by Ellen, Hampton Arts, Hero Arts, Inkadinkado, JudiKins, Lawn Fawn, Papertrey Ink, Reverse Confetti, Simon Says Stamp, paper – Neenah Classic Crest Solar White, Stampin’ Up! 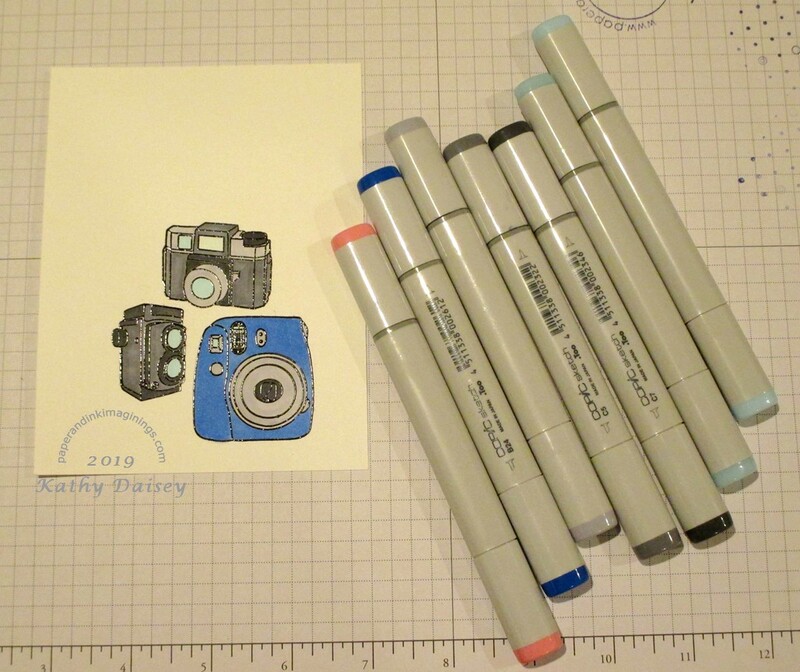 Bermuda Bay, inks – Copics 110, B0000, B00, B02, B05, BG15, C1, C3, C5, C7, E19, E23, E41, E51, E57, RV14, R39, W00, W3, W7, YG25, YR04, YR68, Y11, Y18, VersaFine Onyx Black, VersaMark, embossing powders – Ranger clear, Stampin’ Up! Sterling Silver. 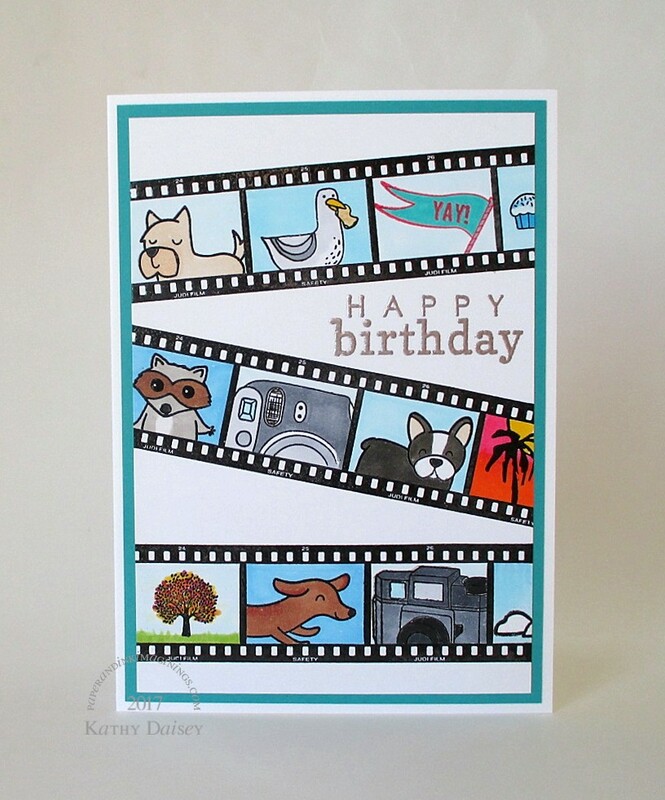 Categories: birthday, card | Tags: Altenew, card, Copics, Essentials by Ellen, Hampton Arts, Hero Arts, Inkadinkado, JudiKins, Lawn Fawn, Neenah, Papertrey Ink, Ranger, Reverse Confetti, Simon Says Stamp, Stampin' Up!, Tsukineko, VersaFine, VersaMark | Permalink. 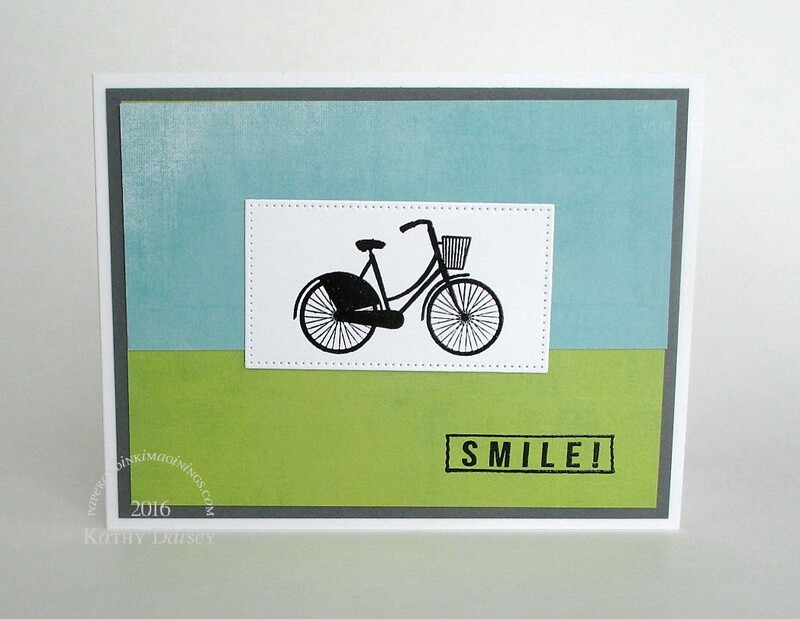 I stamped a few extra images of this bicycle when it was out for the birthday card last week. Using Heidi Swapp paper, I created a background and mounted the bike on the horizon line. Supplies: Stamps – Hampton Arts, paper – Heidi Swapp Favorite Things, Neenah Classic Crest Solar White, Stampin’ Up! Basic Gray, ink – VersaFine Onyx Black, die – My Favorite Things (pierced rectangle), embossing powder – Filigree Fine Art Powder clear. 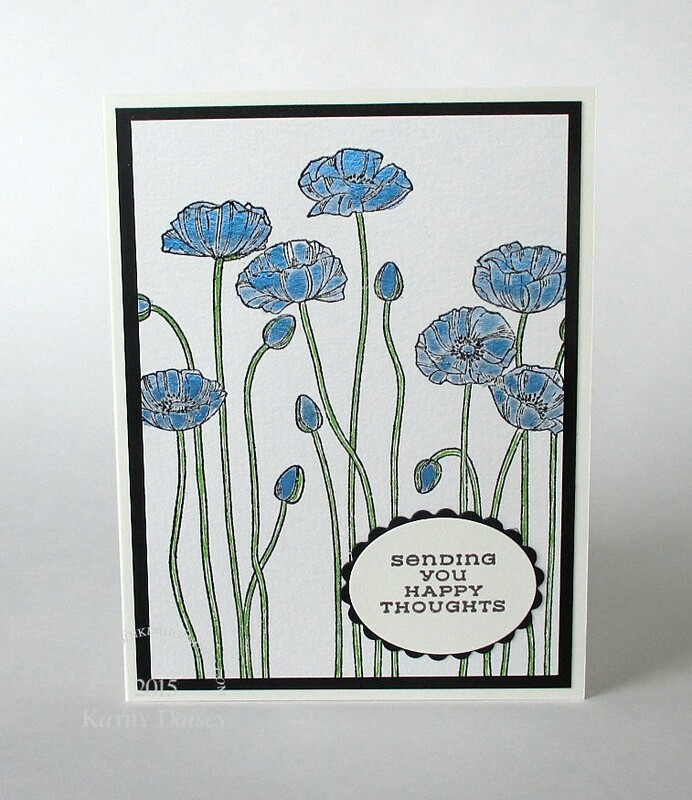 Categories: card, encouragement, thinking of you | Tags: card, Hampton Arts, Heidi Swapp, My Favorite Things, Neenah, Stampin' Up!, Tsukineko, VersaFine | Permalink. Someone I know has taken up cycling. Just by chance, I did have a small bicycle stamp in my collection (it is not exactly the RIGHT bike for the recipient, but…it is a bicycle!). Supplies: Stamps – Hampton Arts, Papertrey Ink, paper – Neenah Classic Crest Solar White, Pebbles Americana, Stampin’ Up! Basic Black, Real Red, inks – Stampin’ Up! Brilliant Blue (retired), Real Red, VersaFine Onyx Black, dies – Spellbinders, embossing powder – Filigree Fine Art Powder clear. 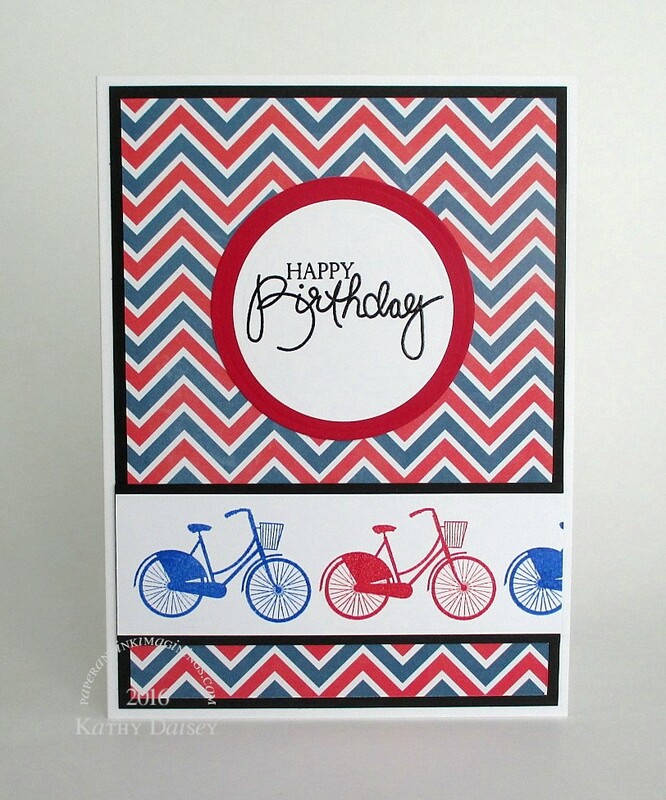 Categories: birthday, card | Tags: card, Hampton Arts, Neenah, Papertrey Ink, Spellbinders, Stampin' Up!, Tsukineko, VersaFine | Permalink. 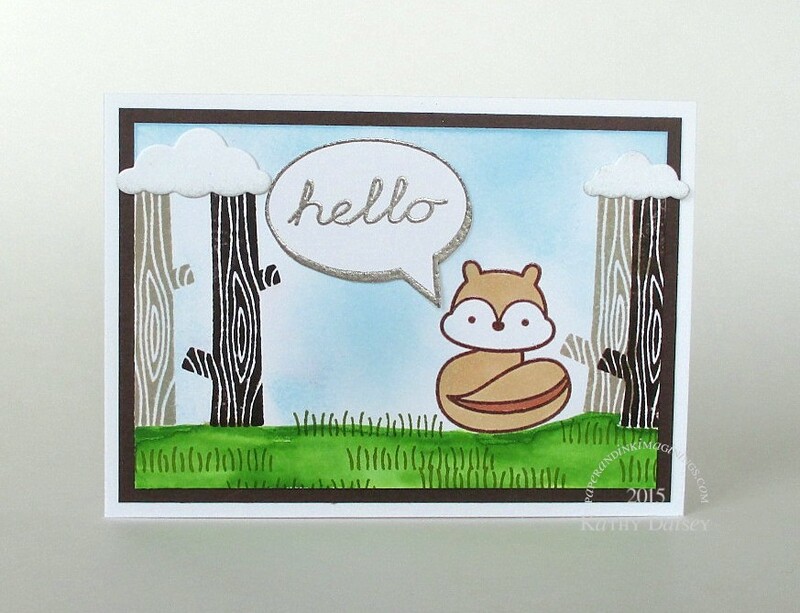 I stamped the chipmunk first, then created the scene around him (I have named him “Fred”). I realized after this was all assembled that *perhaps* the tree was designed to be a fallen, horizontal tree for Fred to sit on. Fred says, “maybe next time”! Supplies: Stamps – Hampton Arts, Lawn Fawn, paper – Neenah Classic Crest Solar White, Stampin’ Up! 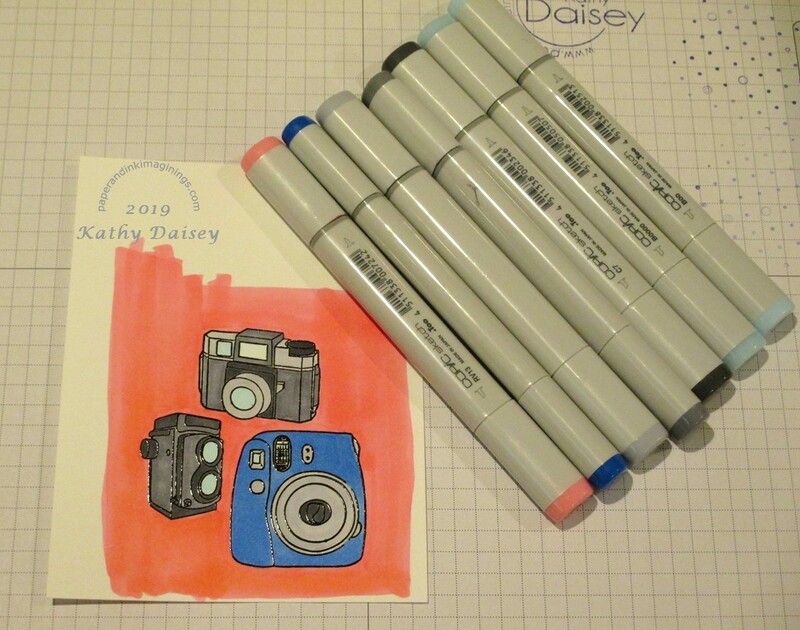 Old Olive, inks – Copic E15, E53, Stampin’ Up! Chocolate Chip, Crumb Cake, Old Olive, Smoky Slate, Tim Holtz/Ranger Distress Ink Tumbled Glass, VersaFine Vintage Sepia, ZIG Clean Color Real Brush Pen 041 Light Green, dies – Memory Box, embossing powder – Filigree Fine Art Powder clear, Ranger Liquid Platinum. Categories: card, caring | Tags: card, Copics, Hampton Arts, Lawn Fawn, Memory Box, Neenah, Ranger, Stampin' Up!, Tim Holtz | Permalink. Here we are again, with my favorite Stampin’ Up! poppies. I stamped and heat embossed them onto some watercolor paper, and put them aside for later use. About a month ago, when I was working on my mermaid project, I was trying to use Pearl Ex, and had a difficult time keeping the Pearl Ex on the paper. Pearl Ex is pearlescent pigment powder. I bought a bunch of colors through Stampin’ Up (at least 10 years ago), but have struggled with it ever since. There is no sealant or binding agent in it – it rubs off and smears when it is left unsealed. I can add it to embossing powder, and it stays. I can dust it over VersaMark, and it partially stays. I have tried aerosol sealant and I am getting inconsistent results (still not sure WHY – humidity? can too old?). I started researching Pearl Ex, and how to keep it on a project. I found information on Gum Arabic, which you add to the Pearl Ex powder, and then add water. I ordered Gum Arabic and Pearl Ex Varnish from Amazon. Over the weekend, I pulled out the Gum Arabic (which is a powder…I was really expecting it to be liquid, silly me, I have a Math degree, not an Art degree! ), read the instructions, mixed Pearl Ex powder with it, and added some water. Let’s paint these poppies! I am very happy with the result. The Pearl Ex is there in all of its shiny glory, but not rubbing off. I colored the stems with a ZIG Clean Color Real Brush Pen. Supplies: Stamps – Hampton Arts, Stampin’ Up!, paper – Neenah Classic Crest Natural White, Stampin’ Up! Basic Black, watercolor paper – source unknown, inks – VersaFine Onyx Black, Smokey Gray, ZIG 041 Light Green, dies – Spellbinders, embossing powder – Filigree Fine Art Powder clear, Pearl Ex True Blue #687. 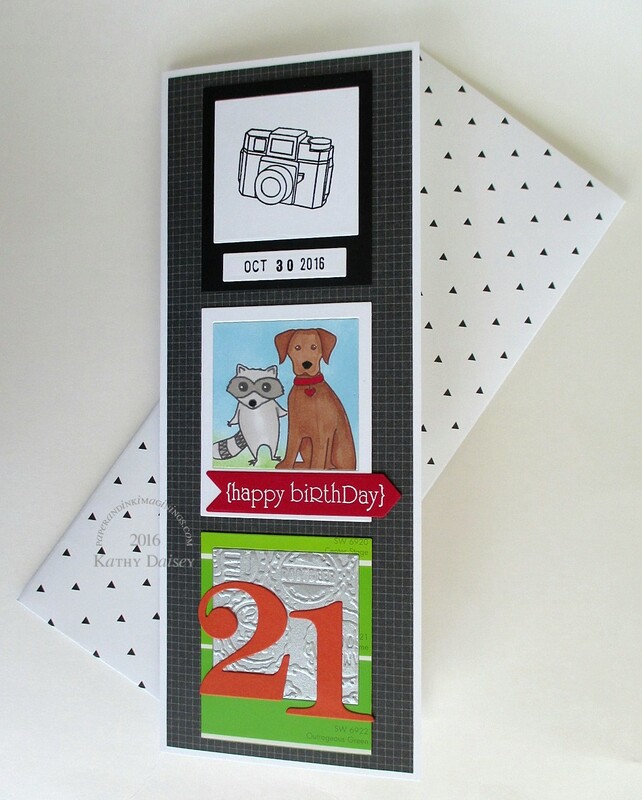 Categories: card, caring, encouragement | Tags: card, Hampton Arts, Neenah, Spellbinders, Stampin' Up!, ZIG | Permalink.